Tagged fashion, Hunter, J.Crew, Kate Spade, polyvore, style, Tiffany & Co. Tagged Burberry, Cameo Rose, fashion, FOSSIL, Jack Rogers, Kate Spade, Michael Kors, Oscar de la Renta, polyvore, style, Tiffany & Co. I am totally with you on this one, I get so annoyed with Mason Jars! The first Pinterest wedding with the Chalkboard and Mason Jar to use as a holder for a candy bar WAS cute, but we seriously have to move onto another trend already! I have many pet peeves in life. From messy desk tops to my pants creating an unwanted muffin-top, my little dislikes range from normal to crazy. 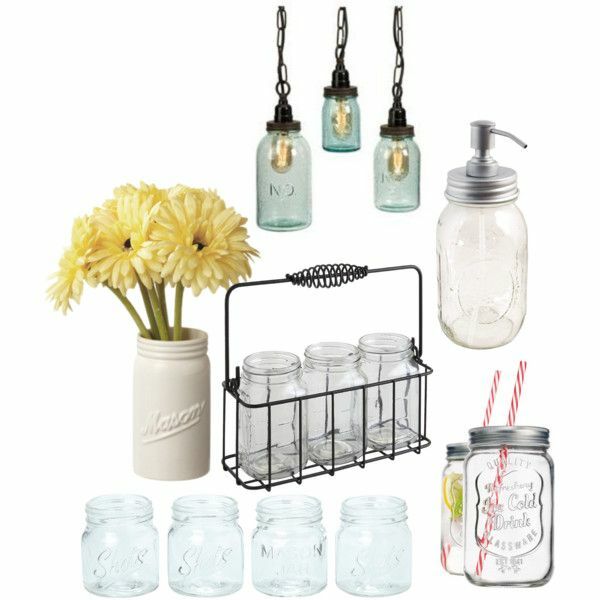 One pet peeve that I rarelyam brave enough to mention because everyone is obsessed with them is mason jars. You read that right. I can’t stand them… for the most part. There are a few times when I think they’re appropriate to use and about a million times when they’re just, dare I say, tacky. A Polo Shirt nonetheless in every color! Classic and versatile in style, the polo shirt is simply just one of those items that should be within a woman’s wardrobe. This everyday item whether worn to school, donned on casual fridays, or the weekends — offers an effortless put together look that is perfect for warm spring/summer days.